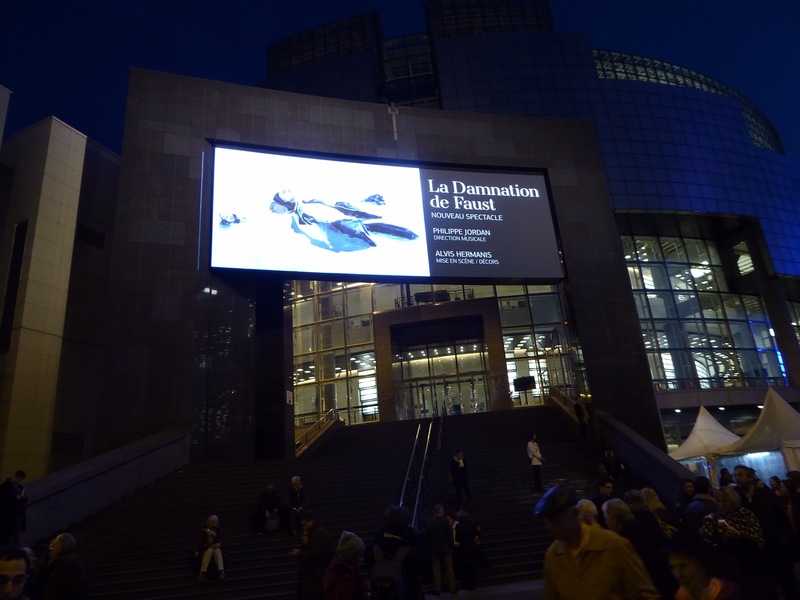 There has been so much controversy about the new production of La Damnation by Alvis Hermanis in Opera Bastille that it was almost impossible to come to the show without preconception or some opinion of what has to be expected. As I have not been lucky enough and free to choose dates for travel to source and fit in the schedule the ticket for main cast choice with Jonas Kaufmann, since I was fully committed to come and see particularly the production itself, I felt quite content with the tickets procured for Christmas time, thus Sunday matinee with the cast including Bryan Hymel, Bryn Terfel and Sophie Koch was perfectly fine with my expectations. Contrary to my usual habit, this time I had been too curious and impatient, reading reviews and watching excerpts and trailers of performance. Not good practice, lesson learned for the future.. The concept of identifying Faust of the 21st century ( Hawking) and creating parallel reality to one imagined by Berlioz, through voyage in the consciousness of the genius, while celebrating force and magnificence of nature, at the same time suffering from the physical damnation of the body of one of the brightest minds on Earth, and destructive interpersonal relationships among people, ignited by external forces (or internal?) being eternal slaves of Mefistofeles, all that framed and reframed by rectangular panels/ screens with mesmerizing video projections by Katrīna Neiburga, which sometimes became so distractive that episodes of the performance were lost while admiring them. Sets, videos, lights and choreography were ideally aligned to the concept and created consistent and engaging storyline despite fragmented nature of the original work by Berlioz. The only shortcoming was underutilisation of acting and dramatic potential of the team of great singing actors, they were mostly placed in static positions and allowed to deliver breathtaking music while everything around them was in intense motion. Bryan Hymel has clear lyric tenor, and even if he does not have the volume of Jonas Kaufmann, his performance was clean, clear and consistently well delivered. Some of the difficult top notes came with a bit of pressure, and in a few moments orchestra took over, but those insignificant flaws did not impact overall great performance. As Jonas Kaufmann explained in one of the trailers found on Opera de Paris website, this role encompasses all three tenor type vocal material, thus making flawless delivery great challenge. 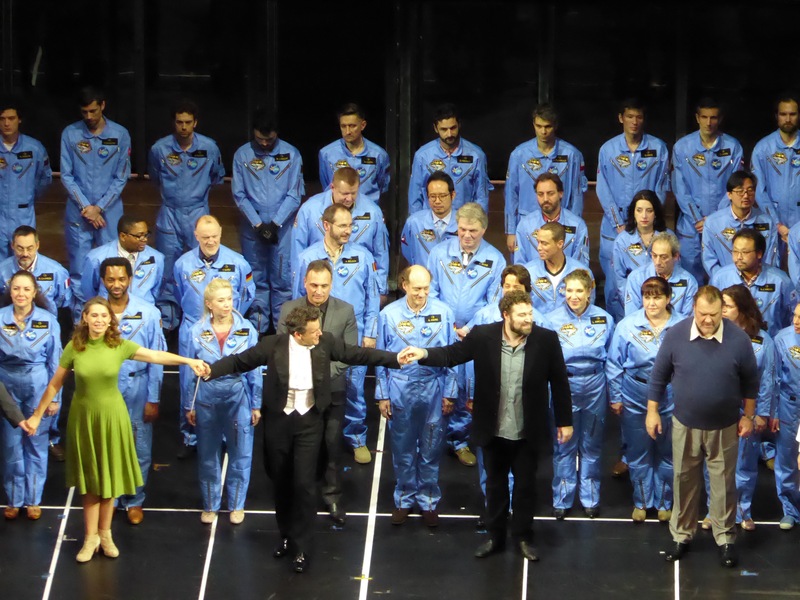 Bryn Terfel was embodyment of modern and disguised Mefistofele, one who can lure you into enticing deal, even to one way mission to Mars. Probably he is one of the characters who survived transformation from original Goethe/ Berlioz concept in entirety. The singing was superb, with great volume and clarity, the sound voluminous when needed, and playful, lighter tone in moments requiring such. Pity that his tremendous acting talent has been used in limited scope, since I still remember his overwhelming performance of Mefistofele in Gunoud Faust at ROH some time ago in dream cast with Joseph Calleja and Sonya Yoncheva. 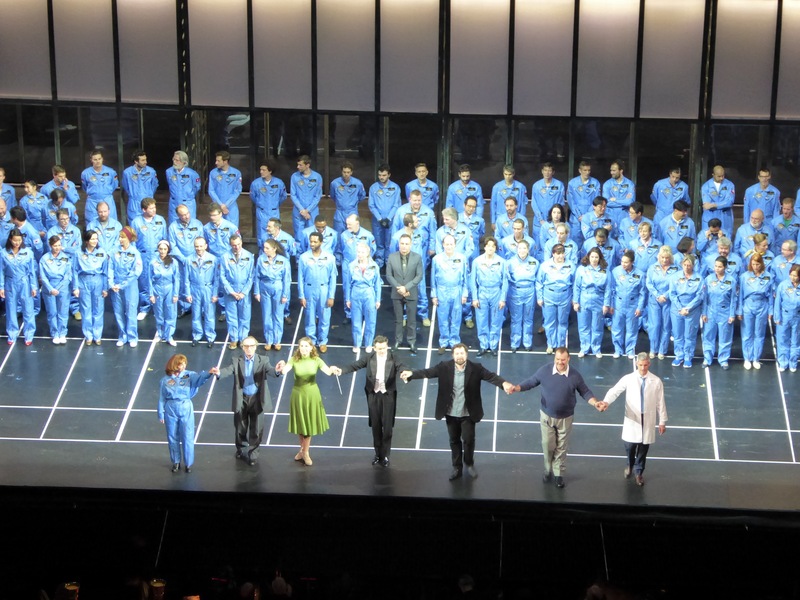 Sophie Koch is becoming better and better with her voice maturing and gaining more volume, which she used perfectly in her main aria in Part 2, as well as in duet with Faust. Bright top notes, round and velvety lower register sound is great fit to the role, and she sung and acted flawlessly tonight. 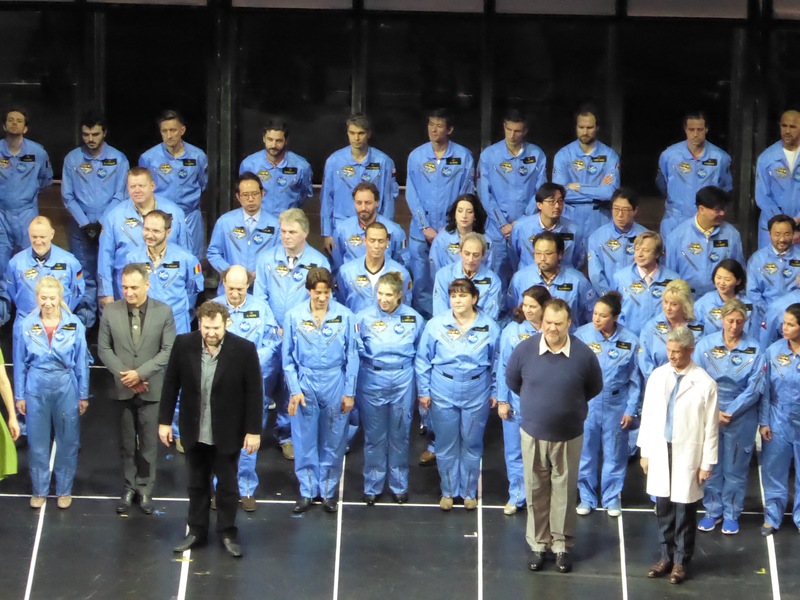 Even if I rarely mention contribution of the orchestra and conductor, tonight Philippe Jordan and his team in the pit were driving the performance with great energy through intelligent and emotional reading of the score. 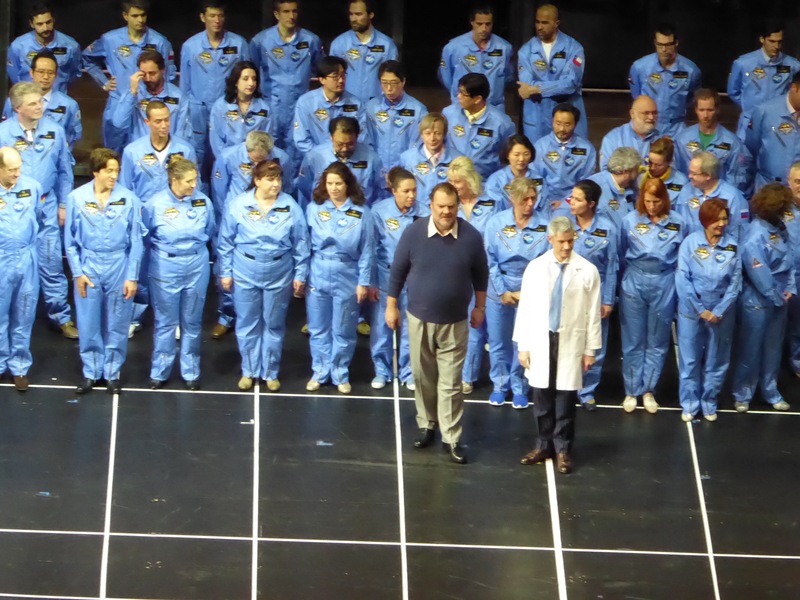 The audience appreciated their contribution greatly, the same should be said about unmatched performance of the chorus. The concept of Alvis Hermanis is thought provoking, and I still have many questions unanswered – what it means for humanity to go on space conquering missions in order to survive as a species since we have almost destroyed the environment and damned our own future on Earth? 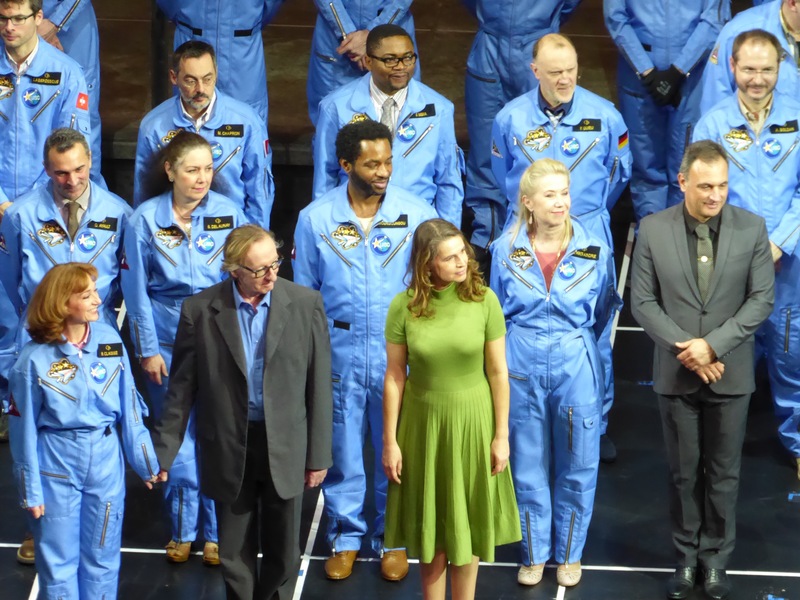 If this is voyage in the brightest mind nowadays, which ends with tragic outcome for Faust but in glorious triumph of Mefistofeles, are we as civilisation damned as well? Can we use art and music as escape or as tool to recreate the fate for humanity? The future must be there, how could we prevent imminent demise? Too many questions, need to take another look, – if you have not seen it yet, visit Culturebox or take a look on YouTube. This is the production worth of the time spent in great company!